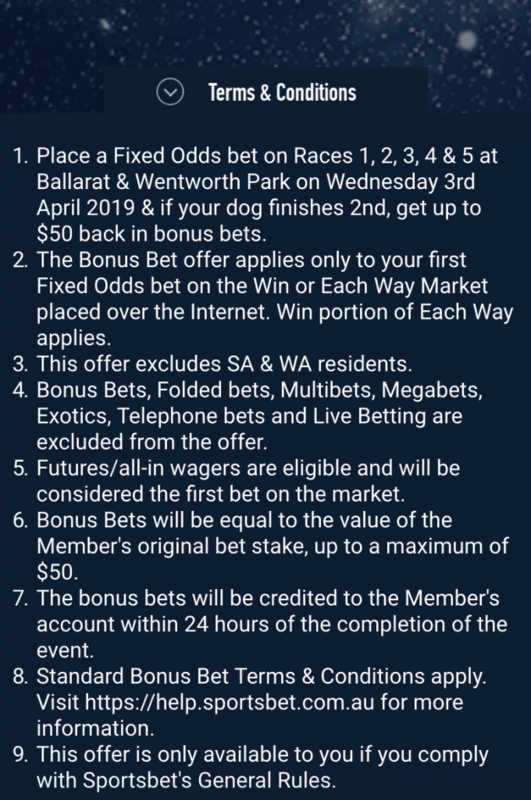 Another day, another set of bonuses to sink their teeth into at Sportsbet.com.au — this time at Wentworth Park and Ballarat. 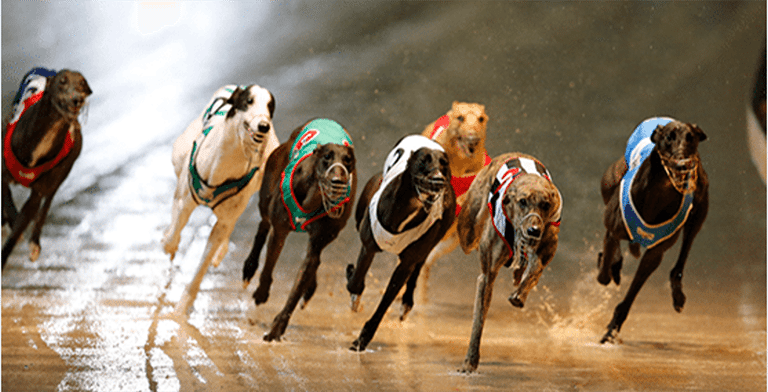 Sportsbet has been on fire this week with a wide range of bonus back specials, targeting two meetings a night, giving punters a number of opportunities to stay in the game if they cop a bad beat from a fixed-odds win bet. The quality of the racing at Wenty and Ballarat tonight is deserving of the attention. We’ve got a 12-race card at Ballarat beginning at 6.57pm AEDT, while the 10-race meeting at Wentworth park begins soon after at 7.05pm. 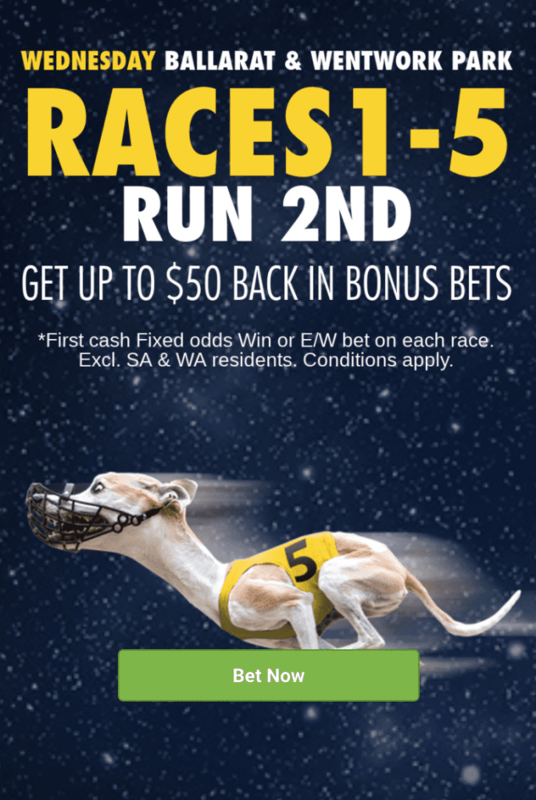 Thanks to Sportsbet, if you back a fixed odds winner in any of the first five races at either track and your dog finishes second, you’ll get up to $50 back in bonus bets. The deal excludes residents in South Australia and Western Australia due to state legislation. Read all of the terms and conditions below and gamble responsibly.